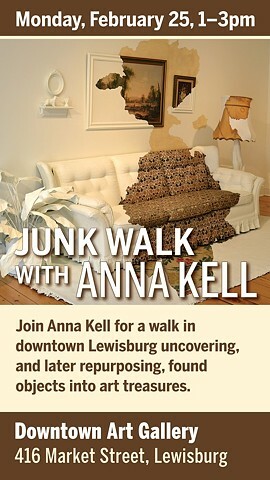 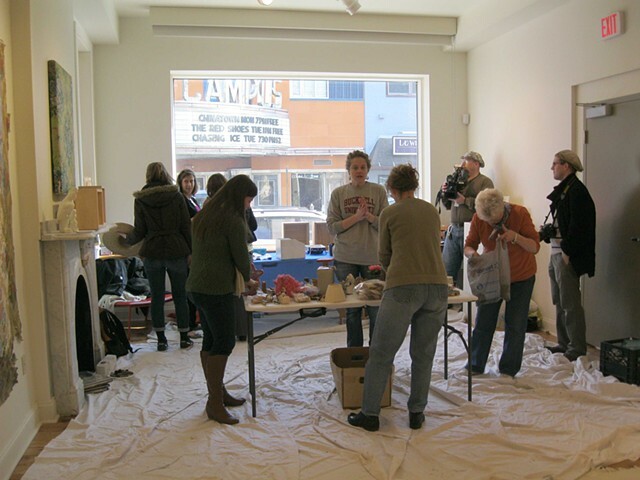 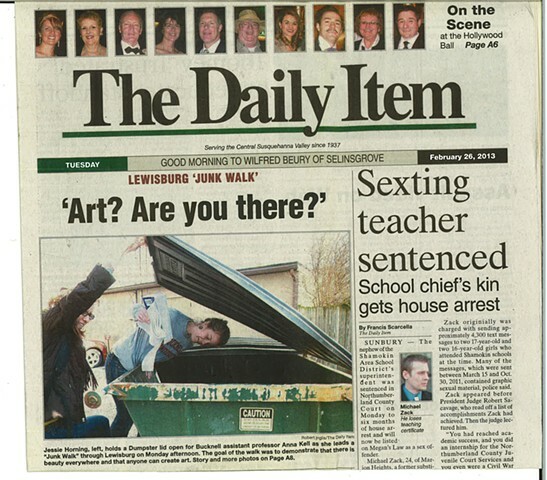 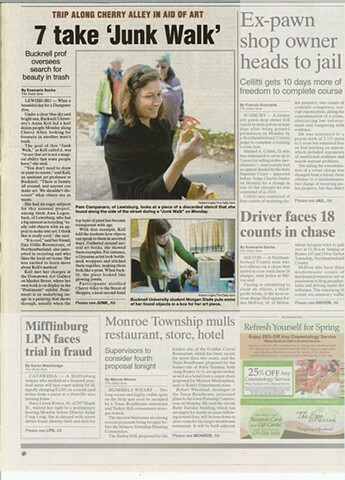 Junk Walk was a two-session, participatory workshop I led in conjunction with my exhibition Pentimenti at Bucknell University's Downtown Gallery in 2013. 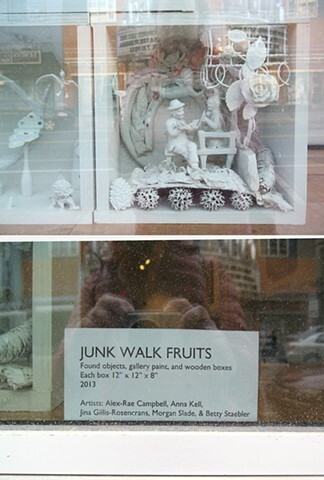 On the Junk Walk, participants walked through alleyways and a rambling junk shop collecting cast-off or nearly free objects which we painted white in the gallery amidst discussion of my concurrent exhibition. 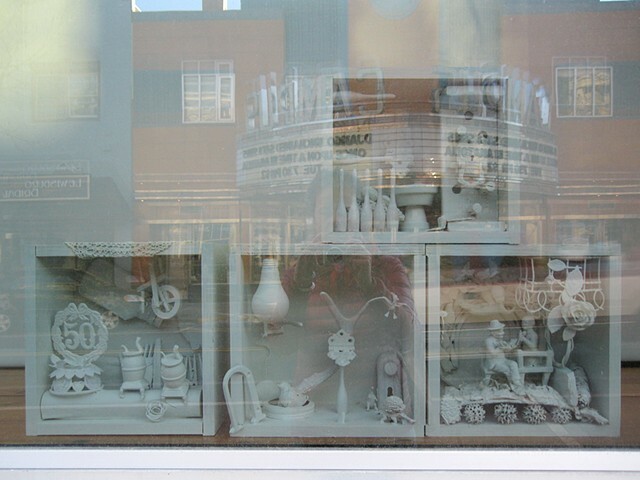 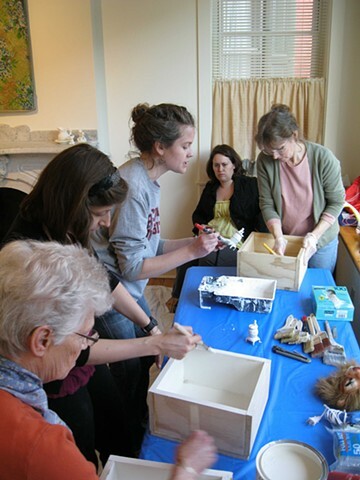 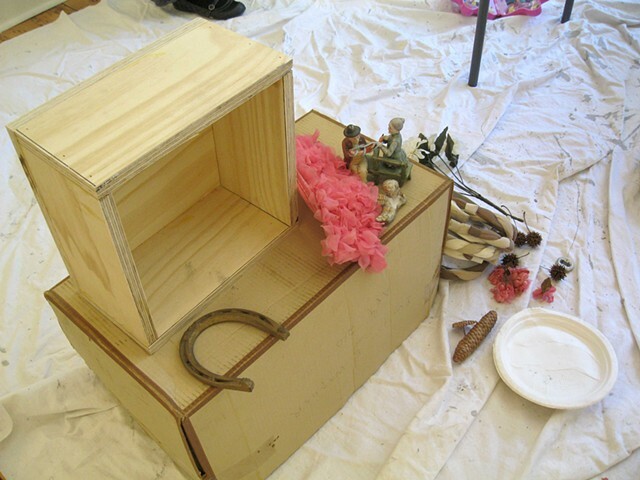 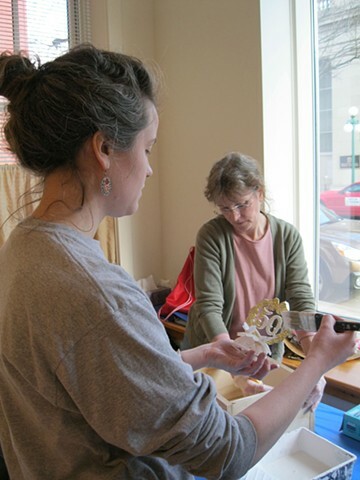 On the second day, participants learned about artists like Louise Nevelson and Robert Rauschenberg and constructed shadow boxes with their materials to display in the gallery's prominent front window.